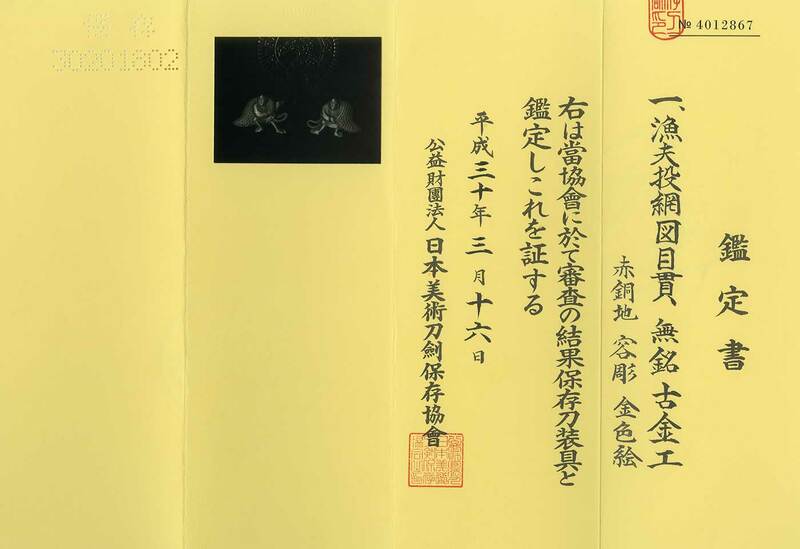 Jidai(era) :Late Muromachi to Azuchi Momoyama era. 1570. Special feature: Ko kinko means that the Kodo-gu was made before Azuchi momoyame period. At Muromachi period most of Menuki was made by Syakudo plate which are simple items. 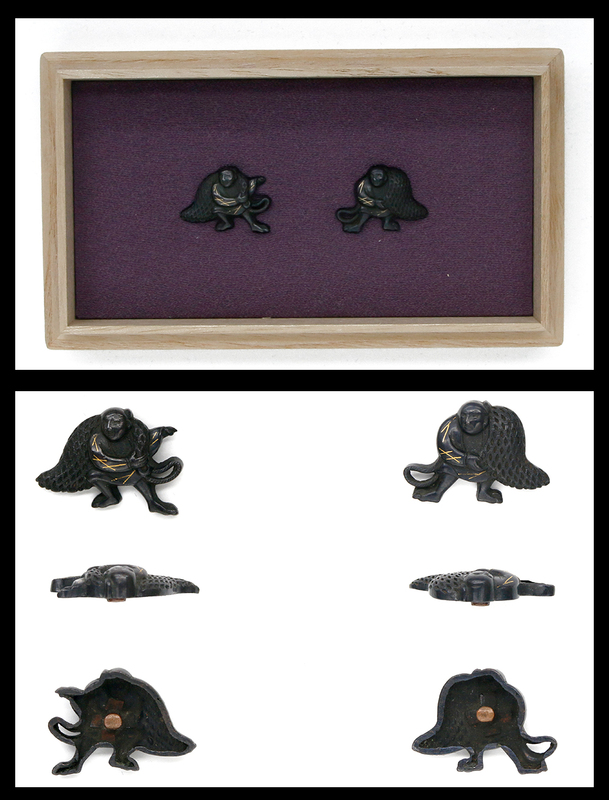 From Aoi Art:This Menuki is engraved foster men who were carrying fish catch nets. The Menuki is rather small size but nice well engraving and good condition.